Earlier this week, we had the opportunity to talk to Chris McQuinn, designer at Drink Box studios. While the original intent of the interview was to talk about the upcoming DLC for their critically acclaimed game, Guacamalee!, it quickly dove into something else. Bringing up Sony’s stance on indie developer relations, how they plan to solve the difficulty spike that happened in the game proper, and how they felt about their own success. Fait: Is there going to be a continuation of having memes as a part of the background art? McQuinn: Well, that depends if the internet has run out of memes? Has it? No? More! Joking aside, if we feel a background within our games can be made better with some humor, then it might be added. Again it’s tough to say one way or another until we have a look at the art. Fait: Will there be any new game mechanics? 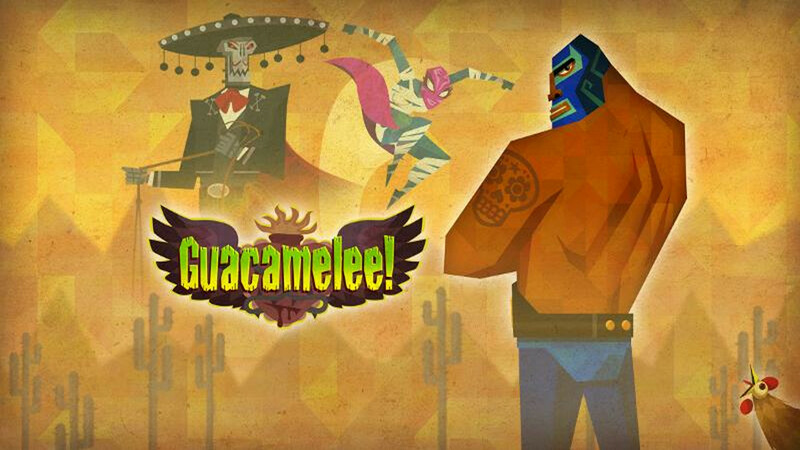 McQuinn: To me what made Guacamelee! so enjoyable to create was the huge array of mechanics I had available. There will be more mechanic(s) added, whether this is with combat, platforming, or both, is still being experimented with. Fait: For a while after release, there was a pretty substantial conversation about difficulty spikes throughout the game. What have you done to help solve that problem? McQuinn: The difficulty spike conversation is interesting because Guacamelee! had many external play testers of varying skill level. We saw that these players often excelled differently from each other at different aspects of the game, and this makes sense since Guacamelee! is a combination of varying gamer skills – brawler, platformer, and exploratism (is that a word?). So for us, there wasn’t a problem, but rather a reality of a game that demands a lot from players. Despite saying that – we are going to examine specific fights that might have caused a bit of suffering – but we certainly don’t want to make the game easier. Fait: Can you comment on the amount of chicken content in the DLC? McQuinn: One can never have enough chicken in a game – so all DLC – for every game – should have more chicken. This should be a new rule for all games in general. Fait: With Sony announcing the PlayStation 4 and being publicly very open to indie developers, do you plan to continue your relationship with Sony in the future? McQuinn: That news was great to hear, and it was exciting to see Jonathan Blow up on the stage with The Witness. Our relationship with Sony has been extremely positive so we wouldn’t be upset if we worked with them on future games. With that said though – we’re open to releasing games on other platforms. Fait: Finally, response to Guacamelee! has been overwhelmingly positive. How does that make you feel as the developer? McQuinn: Great! The response has been encouraging. You work really hard for a really long time, hoping yours is game good, but you never know until you release it to the gaming public. You find out pretty quickly if people actually like your game. Thanks to everyone who wrote us emails! We at PSU would like to thank Chris McQuinn for taking the time out of his busy schedule to answer our questions. Stay tuned on the site for more industry interviews in the future. Stay classy PlayStation Universe.